Lambeth Labour has set out its positive vision for the borough in its manifesto for the upcoming local elections in May. 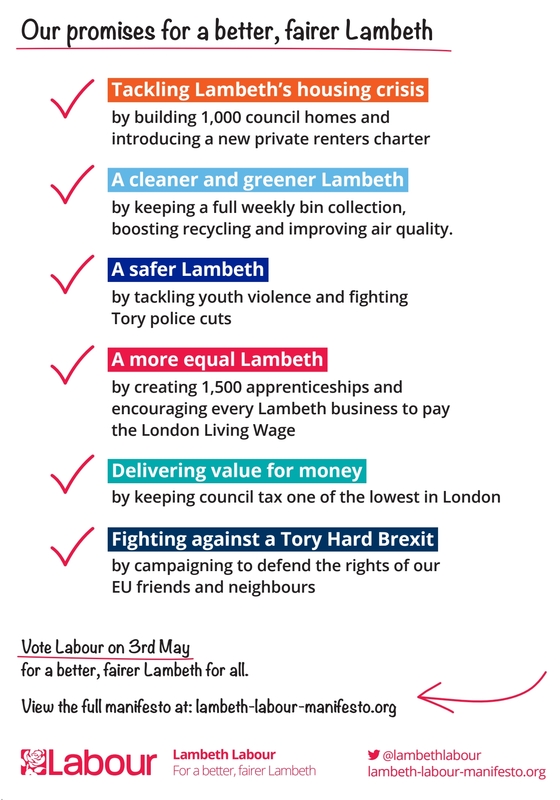 For a fairer, better Lambeth – read the manifesto. 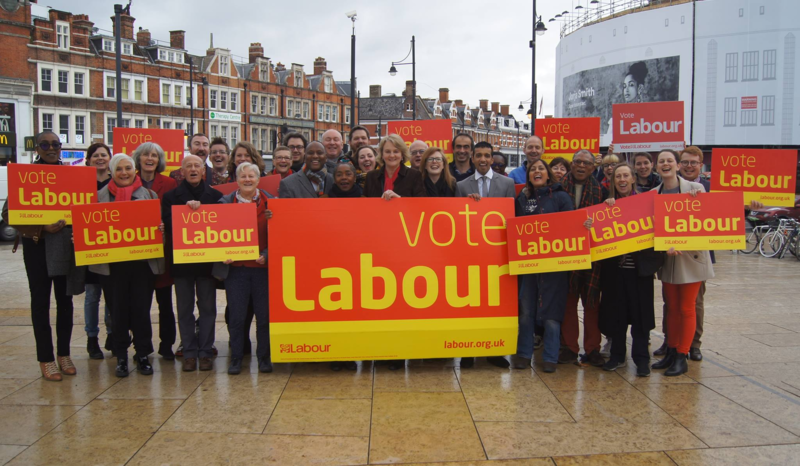 The manifesto was launched today, Saturday 24th March, by Cllr Lib Peck, Labour Leader of Lambeth Council, the Mayor of London Sadiq Khan and local MP Chuka Umunna, with supporters at a local school. Lambeth Labour will create 1,500 more apprenticeships and encourage all Lambeth businesses to follow Lambeth council’s example and pay the London Living Wage. Around housing, the most critical issue facing Londoners, Labour are proposing increasing enforcement on private landlords to deliver a better deal for private renters. Lambeth Labour will also invest £1.3 million more in tackling homelessness (which is increasing across London under the Conservative government), build pop-up housing to quickly house homeless families and double the council tax levy on empty properties. Residents consistently tell Councillors how important it is to keep Lambeth clean -; so despite financial pressure they will maintain a full weekly bin collection and boost recycling. The manifesto also includes ambitious plans to tackle poor mental health outcomes for black residents, to invest more money in youth services by increasing taxes on developers and to tackle youth violence through a new partnership with community groups. “Over the last four years, we’ve delivered major improvements across Lambeth -; building the first new council homes in a generation, making a record investment in our roads and pavements, clamping down on crime and anti-social behaviour and delivering new investment in our borough by being ambitious for Lambeth. We have fantastic schools with record results, the best parks in London, more affordable housing and thousands more jobs for local people. We’ve achieved this despite huge funding cuts by the Conservative government. But we know there is more to do, and it’s only Labour that has an ambitious and comprehensive plan to deliver a better, fairer Lambeth.